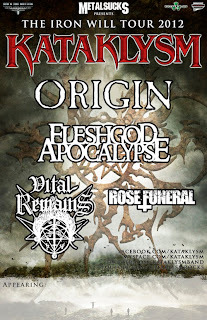 Games Meet Metal: The Riff Concert Review-The Kataklysm Iron Will Tour! 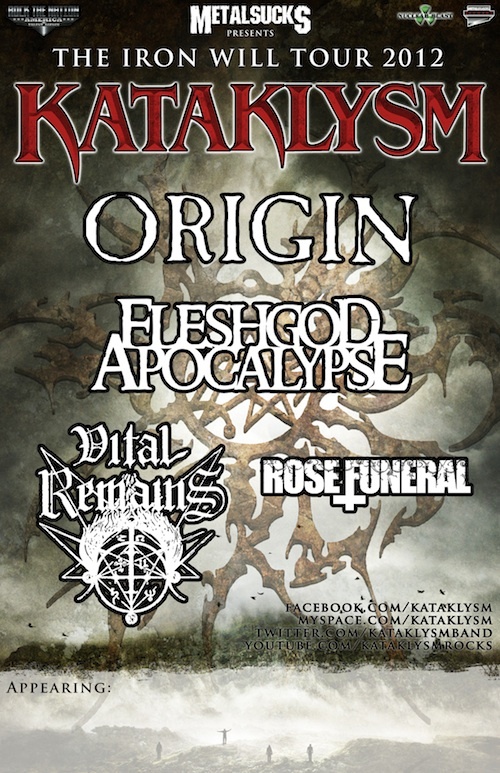 The Riff Concert Review-The Kataklysm Iron Will Tour! No 8-bit Metal Mondays yesterday, but that's because I had a CONCERT EMERGENCY!!!! At the last minute, I heard about this killer line-up and I decided to rush to the venue. Plus, seeing metal on a Monday night makes it even more metal! I just feel sorry for all the hungover punks who have work Tuesday morning. Rose Funeral have the unfortunate fame of being a bans so boring to a group of kids a few years back, that they decided to break out a game of Uno while in the front row. This severely pissed off the lead singer and nearly resulted in a brawl. For many shows afterwards, kids would bring Uno cards to get signed and the anger issues would resurface. You know, that lead singer totally went the wrong way with the whole situation. If some kids are being rude and hitting the cards while you're playing, you don't get angry. Instead, you asked to be dealt in! Then you sign those Uno cards the kids give ya! Finally, you make a bunch of ironic Uno metal shirts to sell. BAM, instant money! Well, after finally seeing the band, I can now see WHY those kids chose to do something else than listen to the band: Funeral Rose are pretty damn pedestrian as far as death metal goes. Technically sound, but just overall dull and boring. In fact, I'd call them "death metal with training wheels." It's what you listen to first in the genre before you graduate to Cannibal Corpse and Morbid Angel. With a name like that, how could I not like this band? 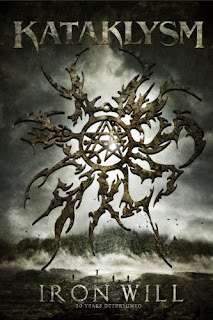 FA is a blackened death metal band, but much more atmospheric than say Behemoth. Their bass player is also quite capable of lots of clean vocals. That made me do a double take, as I thought this super tall dude was Vortex, a former member of Dimmu Borgir. A quick check on Wikipedia, however, shows that I'm an idiot. It's just five very talented guys from Rome. As if you couldn't tell by the name, Fleshgod ain't exactly down with the G-man, and just about every song is dedicated to not going along with him. I ain't much of one for politics or religious positioning, but FA do a very good job of desecration. The dirty death vocals mix great with the clean ones, and the keyboards add a great touch of evil to everything. If I had to sum up the band, I'd say they were Behemoth of they listened to more Nightwish. Origin take the award home for being the biggest nerds of the night. Not only are all of their albums and a majority of their shirts sci-fi based, but one shirt imparticular pays tribute to old-school Centipede and the Atari logo..... and I'm wearing it right now! This shirt's gonna go over like gangbusters at PAX this year! Origin are about as techy as death metal can get with out just saying "screw it, we're grindcore." The vocals are furious, the guitarist knows his sweeps damn well, and the bassist can two-hand the fret board effortlessly. The lead singer also gets some special edition as being the funniest guy of the night. A girl shrieks from the front to play faster, so he tells the band to play their slowest song. He also jokes that they're the "fluffer" band for the main act. To quote the man himself, "It's death metal fluffer! We're not gay or anything." For being around for 20 years, you'd think I'd hear more about Kataklysm, but they've been mostly under my radar. I saw them once or twice a bit back, but they just didn't make a real strong impression on me then.Today was much different, as the band's 20 year celebration must have given the guys a little extra oomph in their playing. 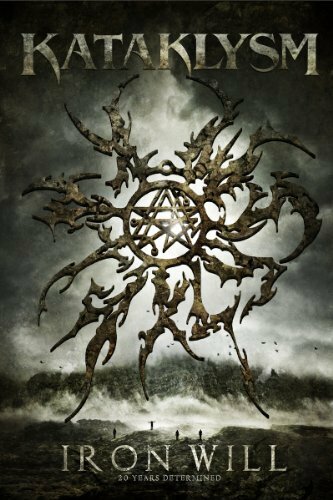 While not overly technical, Kataklysm do deliver a very solid punch of melodic death metal mixed with the band's own Canadian touch. Nothing ever really approaches super-fast tempos, but it is kept at a moderate pace to keep the head banging going. Iron Will, the one new song Kataklysm preformed, was my fave, and is also a celebration of the band's style over the past couple decades. There ya go,a last minute show under wraps. I still have one more to go wit Gojira on Wednesday night!